Create, promote and track branded video from your mobile. Manage your team, scripts and video library from mobile or desktop. VideoMyJob's Android, iOS and web app helps teams to produce and distribute quality, branded video content quickly and cost-effectively. 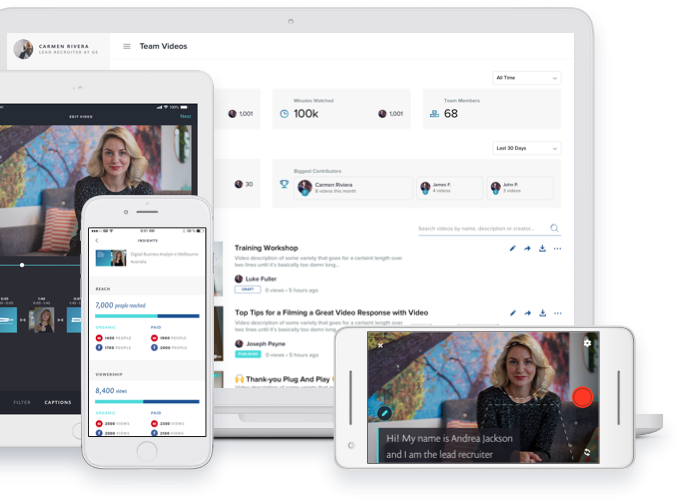 With self-paced training modules, a script wizard and quick how-to guides we'll have your team up-to-speed on video production essentials in no time. Use the tripod and our iOS or Android app to record your video. The teleprompter helps you stay on message, and the screen guide positions you for perfect audio and lighting. 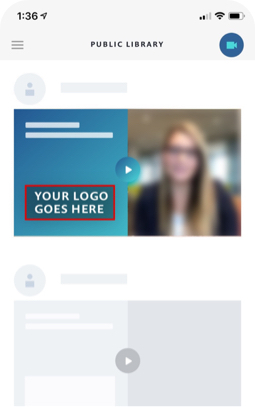 Our templates give you peace of mind with on-brand video for the whole team. A full editing suite in the palm of your hand; trim, splice, captions and images. Insert trackable links and share your video via email and SMS. Expand your reach with organic social distribution and paid Facebook and YouTube ads. Track your videos's performance, including number of views, minutes watched and email click throughs. Track your team's progress with aggregated reports. Manage your company settings and brand templates, collaborate on projects, invite new users and approve videos for publishing.